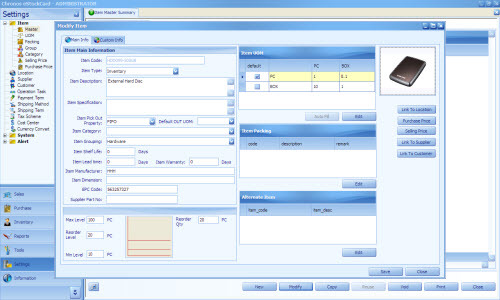 Item image can be adding into the eStockCard inventory software so when users perform the IN (storing) transaction, they are able to identify whether the stock received is the correct one. 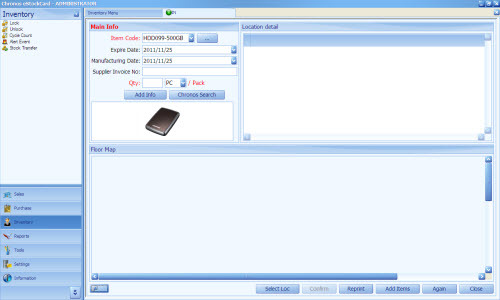 However, this is only applicable to the IN / OUT screen for the eStockCard v3 Warehouse & v3 Premier Edition. 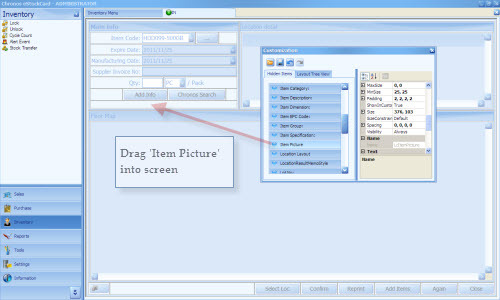 Step 1 Go to ‘Settings > Item > Master’ on Settings and select the item that you want to add the image and click on the modify button (Fig 1). Step 2 At the top right box, right click and select “Load” to add the item image (Fig 2 ). 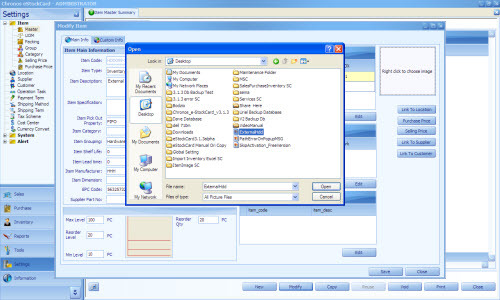 Step 3 Browse the item image on your pc ( Fig 3 ). Step 4 The Item image should appear as shown (Fig 4 ). Save it. Step 1 Go To ‘Inventory -> IN’ on the eStockCard. 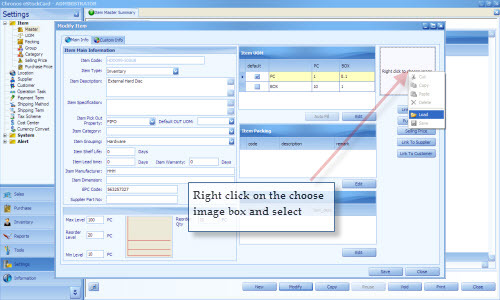 Step 2 Click customize button and drag ‘ Item Picture’ into the screen ( Fig 5 ). 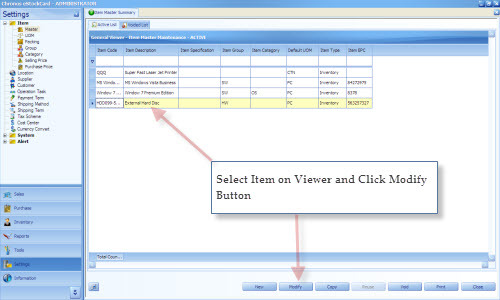 Step 3 When selecting the item code at the IN screen , the item image shall appear (Fig 6 ).